Self-management is an aspect of social life free from authoritarianism and hierarchy, an antibody against selfishness and profit seeking a way to product and project outside the State system. Self-management, meaning a system of social organization characterized by forms of non-hierarchical cooperation, if generalized is a transformation of the socio-economic structure immediately applicable in whatever time or space. With an interdisciplinary approach, an economist and a historian demonstrate – by theory and also by means of experimental economics – how it is possible to substitute the I-rationality (which is based on competition and self-interest) with a more and more accepted we-rationality (which is based on solidarity and mutual aid). This unusual historical and economic analysis of self-management confirms what libertarians have sustained for one hundred and fifty years, that is the idea of a cooperative and altruistic society is not mere utopia, but a feasible project. A project which might link the many self-managerial ideas of growing acceptance in modern society – libertarian practice, management of commons goods, degrowth, civil economics and so on – giving life to a vast movement capable to practise self-management in its thousand aspects, here and now. 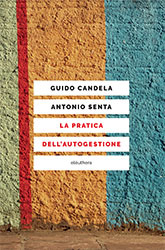 Guido Candela (Bologna, 1943) is former professor of Political Economy and Alma mater Professor in the Department of Economic Sciences in Rimini branch of Bologna University. He published may books and essays on economics, the role of State, political economy, public choices. By the same author, elèuthera has also published Economia, stato, anarchia (Economy, State, Anarchy). Antonio Senta (Fiesole, 1980) is a researcher of the humanistic Department of Trieste University and also a member of the scientific Committee of the Berneri-Chessa Archives. He wrote a number of books on the history of libertarian movement, and elèuthera published his Utopia e azione. Una storia del movimento anarchico italiano 1848-1984 (Utopia and Action, a History of the Italian Anarchist Movement 1848-1984).